Official Liverpool FC tickets are on sale now! Ticketgum is the place to be for all your Liverpool football tickets. Let us supply your entertainment as we offer Liverpool match tickets for a variety of upcoming dates and venues. Established as forces to be reckoned with since the 1960s, Liverpool matches always deliver a fantastic atmosphere for any football lover. Be sure to get your cheap Liverpool FC tickets now! Number of championships: The team won the English Premier League Championship 18 times. Number of Cup wins: FA Cup – 7 times; League Cup – 8 times; UEFA Cup – 5 times; UEFA Super Cup – 3 times. Liverpool football club, known as "The Reds" for short, are based in the very heart of Liverpool and rivals of neighbours Everton FC. Liverpool have one of the largest fanbases in English football and have a very tight-knit community, steeped in history. A falling out between the Everton committee, the club president and owner of the land, John Houlding left to form his own club in 1892, which was known as Liverpool FC. The club started off on a good foot, winning the Lancashire League soon after their debut season, leading to their promotion to the Second Division at the start of 1893-84 season, and later to the First Division which The Reds went on to win in 1901 and 1906. But following a rollercoaster of inconsistent results for the team, Liverpool's manager, Bill Shankly, who arrived in 1959, changed their game around for the better, by releasing 24 players and converting a boot storage room at the club into a room where coaches could discuss strategy - this was known as the "Boot Room". This led major change saw the team reach great achievements in the 1960s and 1970s, including double wins of the League and the UEFA Cup in 1973 and 1976. Following the achievements of legendary manager, Bob Paisley, the 1990s proved to be a disappointing time for the club. Managers came and went, until the 2000s came with a bang. ‘The Reds’ won a ‘treble’ in 2001: the League Cup, the FA Cup, and the UEFA Cup. But the club’s progress has been rocky ever since, until the appointment of manager, Jürgen Klopp, who has helped the club go from strength to strength, and title-contenders for the 18-19 season. 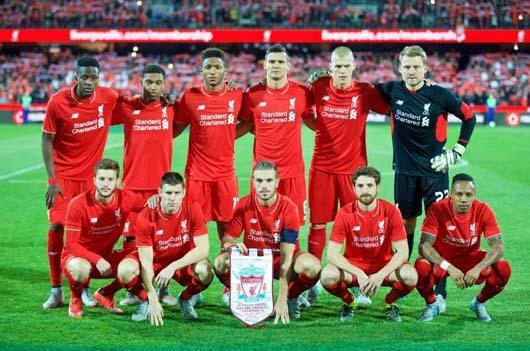 What is Liverpool’s Most Successful Period? Liverpool’s most successful period is in the 1970s and 1980s, when the club won their first UEFA Cup (1972-1973), the FA Cup (1973-1974), double win of the League Cup and the UEFA Cup (1976), treble win of the League, the League Cup and the UEFA Cup (1983-1984), and the double win of a League Cup and FA Cup in 1985-1986. How to Buy Liverpool Tickets on Ticketgum? Choose a Liverpool game from the selection of events found at the top of this page. Choose your desired seating section, update the tickets quantity needed and click “Buy”. Choose your delivery address - this can be a home address or even a hotel if you are watching a game abroad. Click on “Continue” to confirm your purchase. Enjoy your Liverpool FC tickets!